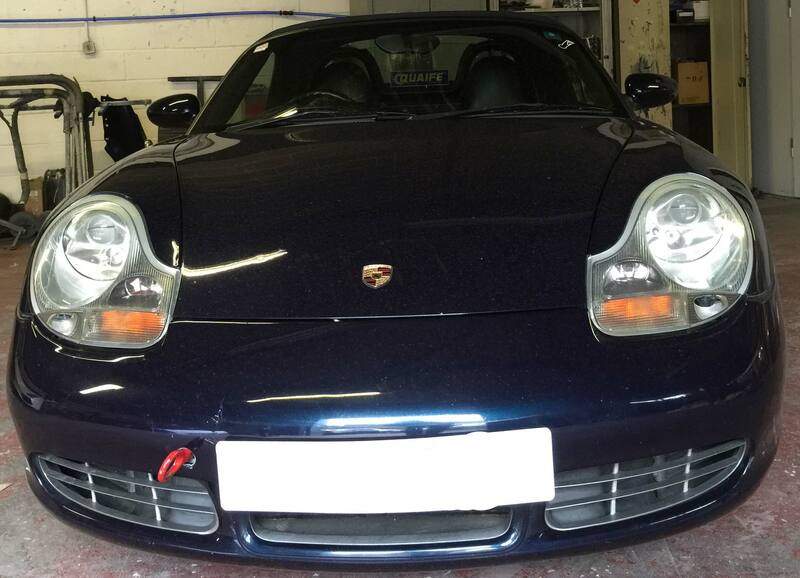 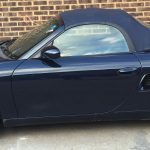 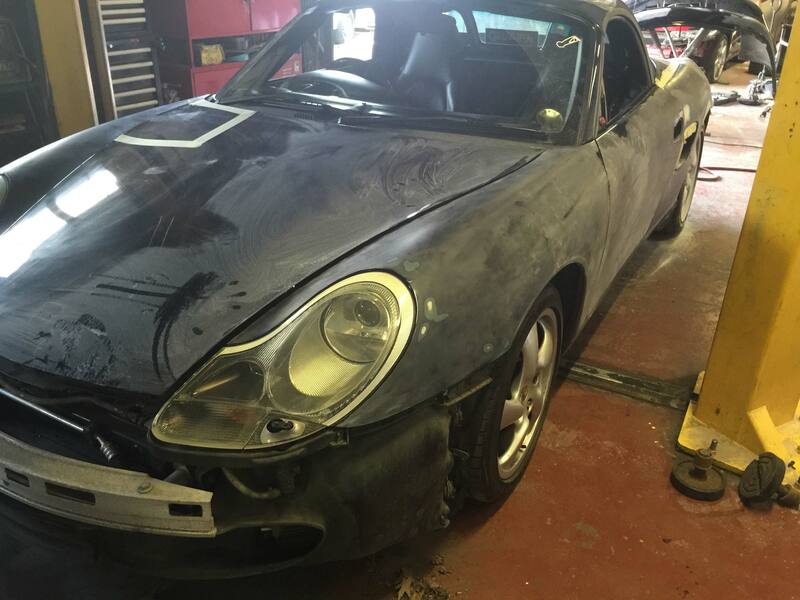 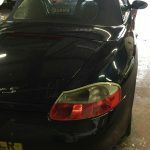 One of the directors from AJ&B carpenters next door approached us when he found someone had hit his Porsche Boxster S track car. 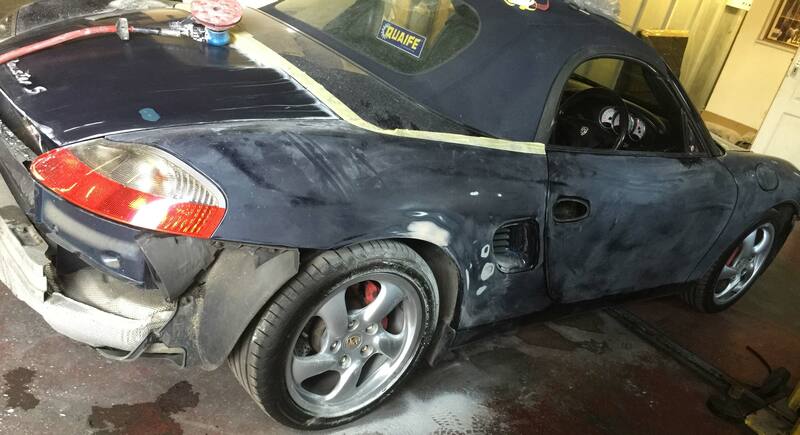 Although the damage was very minor, the overall exterior of the car was crying out for attention. 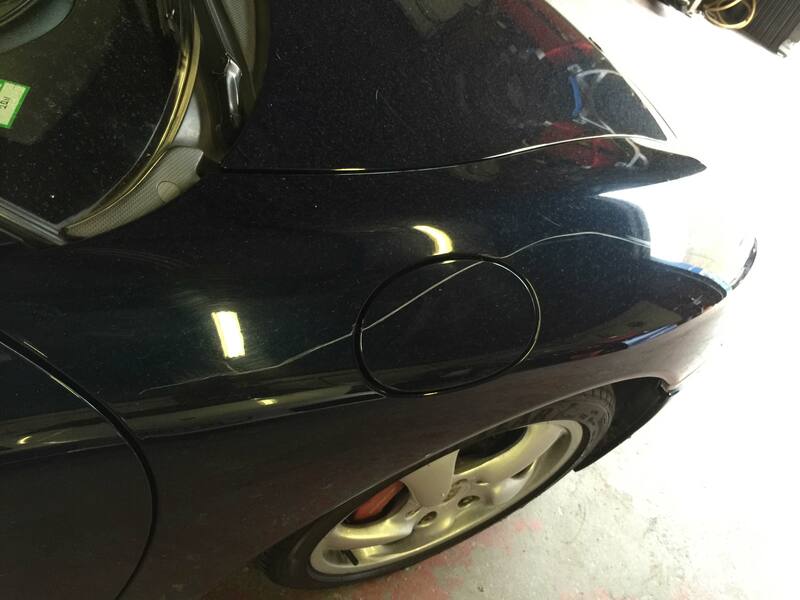 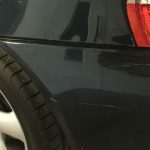 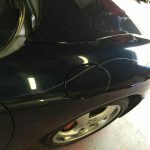 Over the years the vehicle has been subjected to vandalism and the attempted touch up paints were not covering the scratches at all. 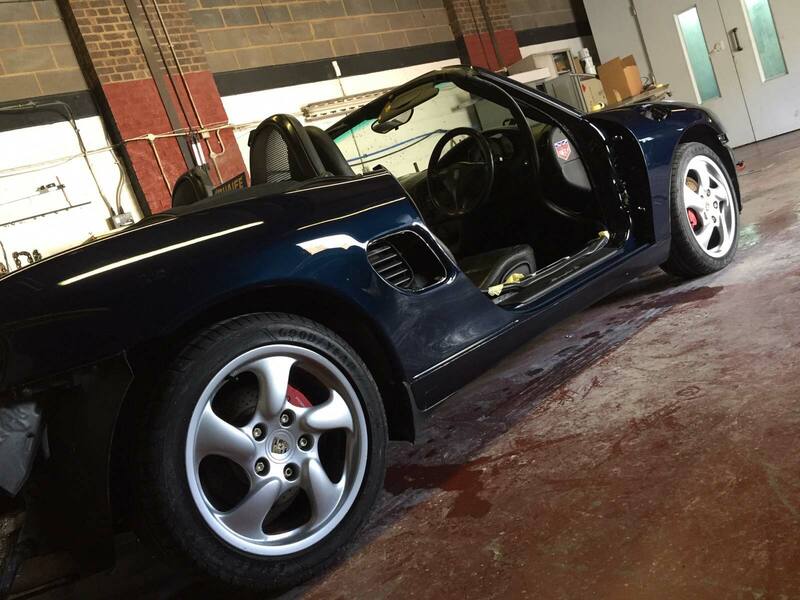 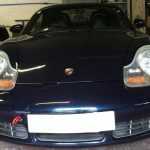 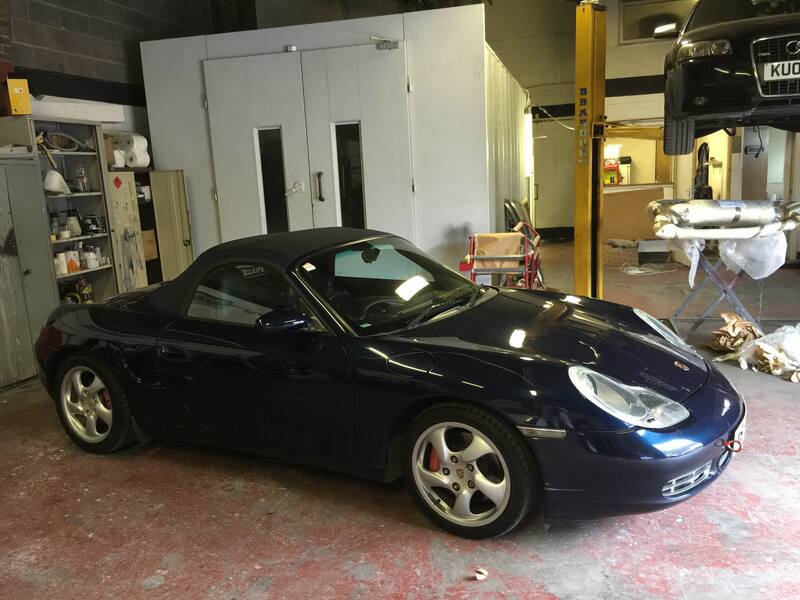 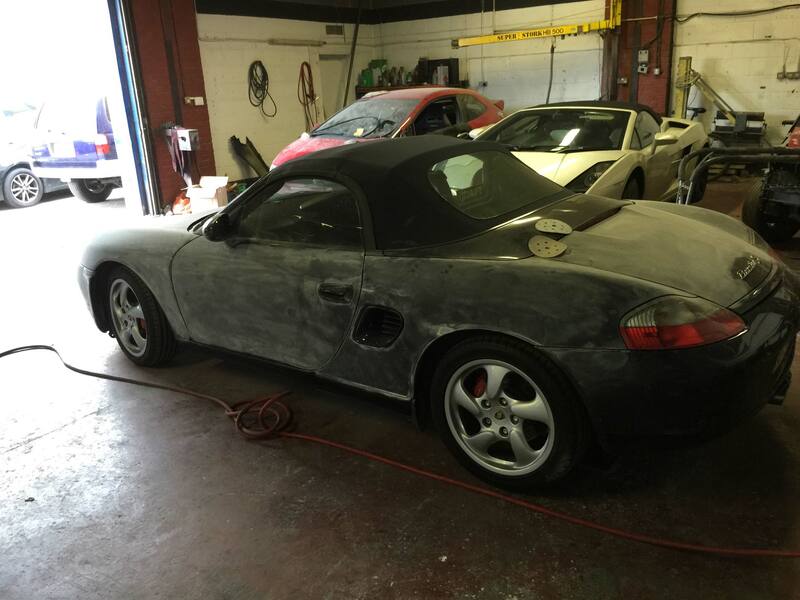 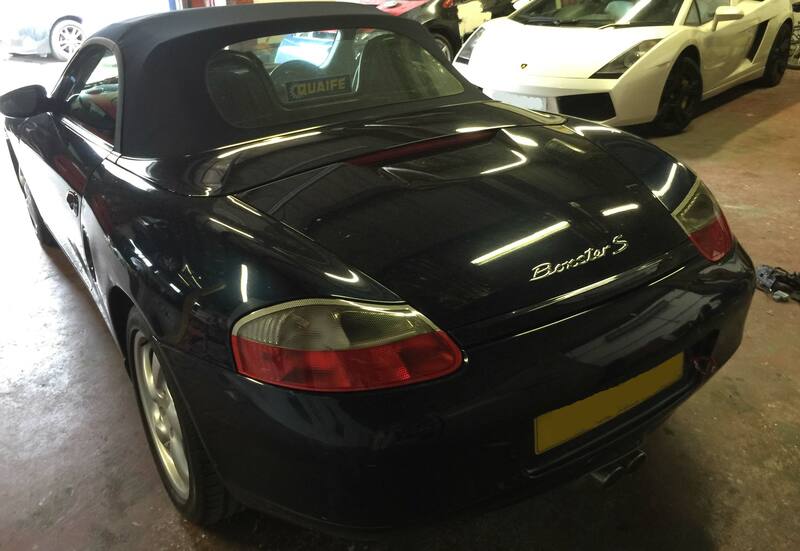 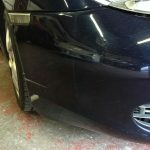 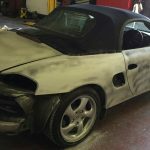 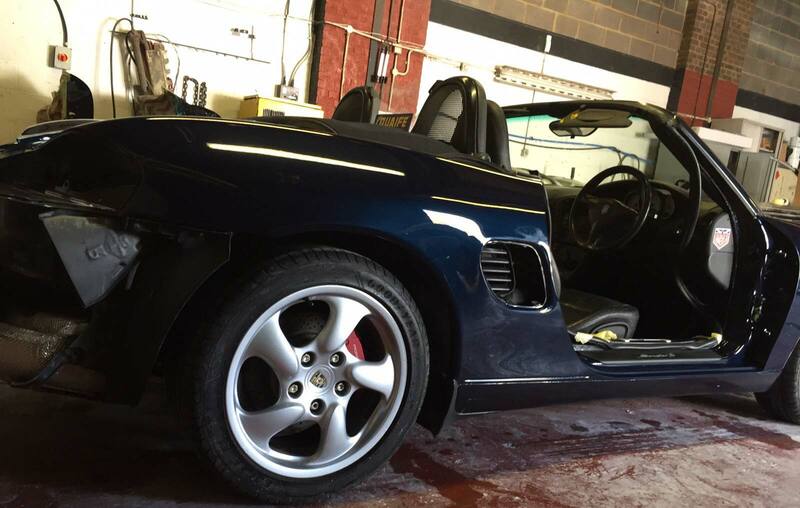 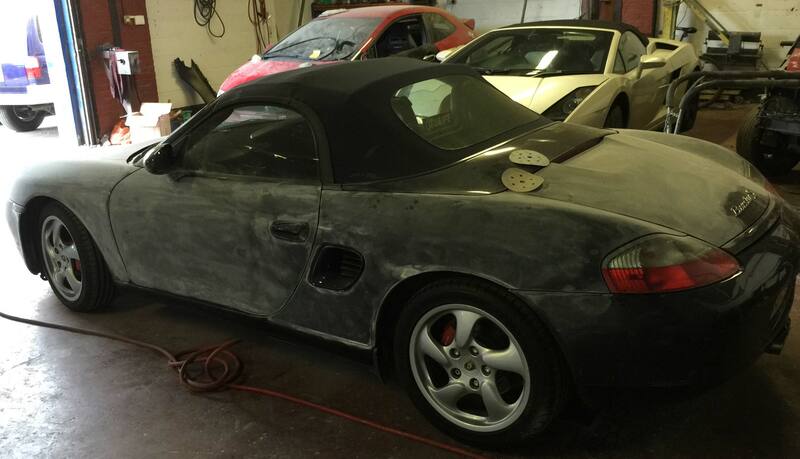 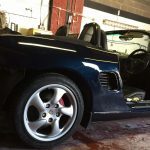 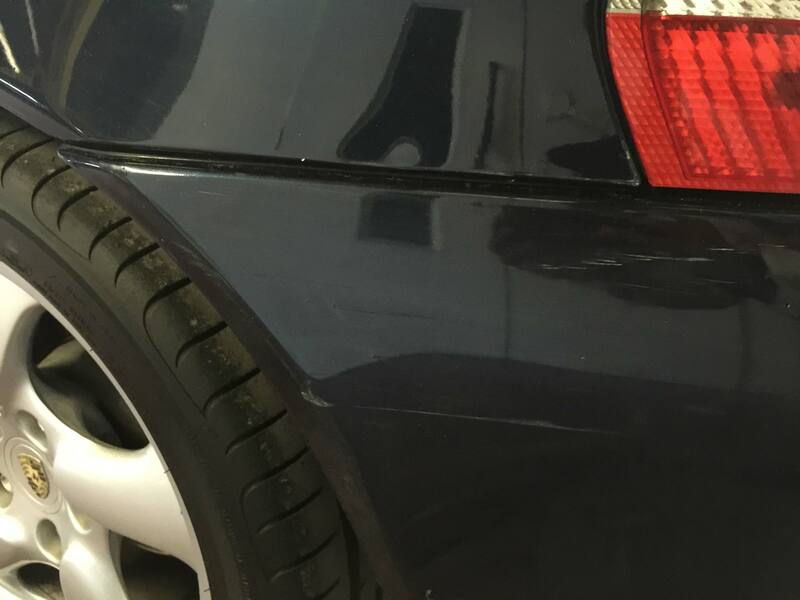 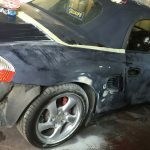 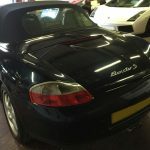 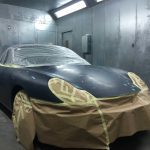 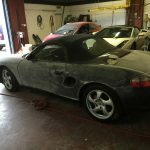 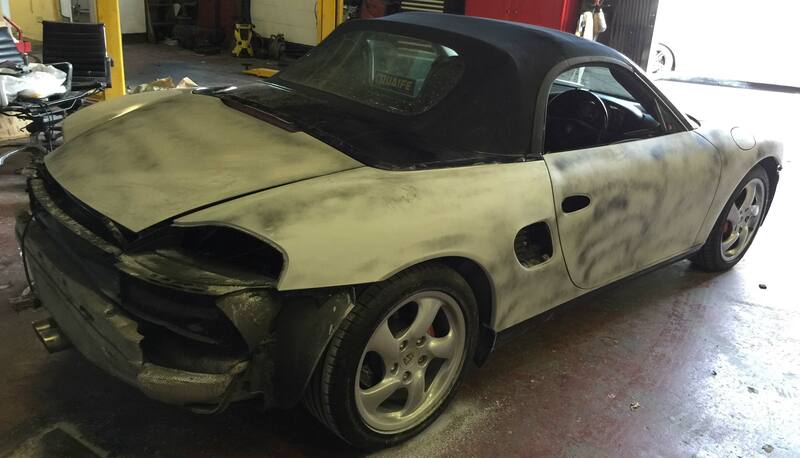 The owner agreed it was best to go over the whole vehicle and give it a fresh paint job as a pose to repairing just the rear corner damage because it was degrading the value. 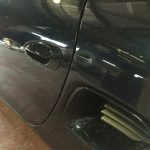 We agreed to do a blinding job (as always) and took on the job to fully repaint the vehicle including all the door shuts. 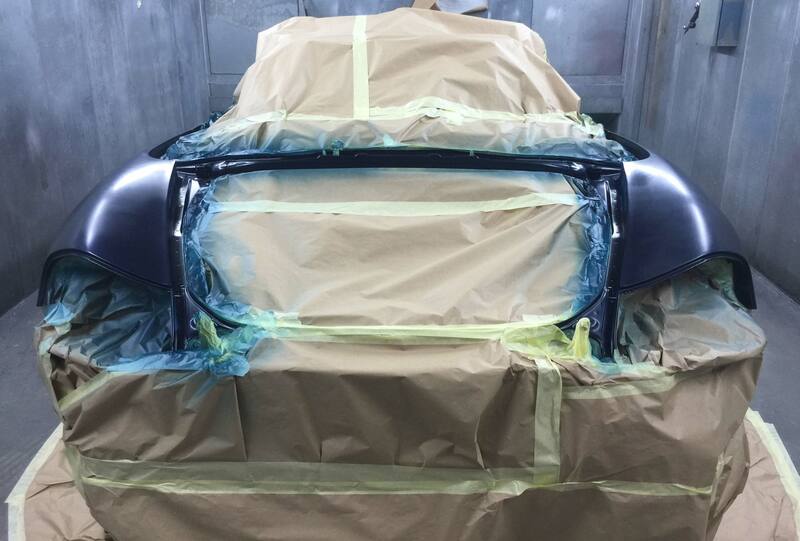 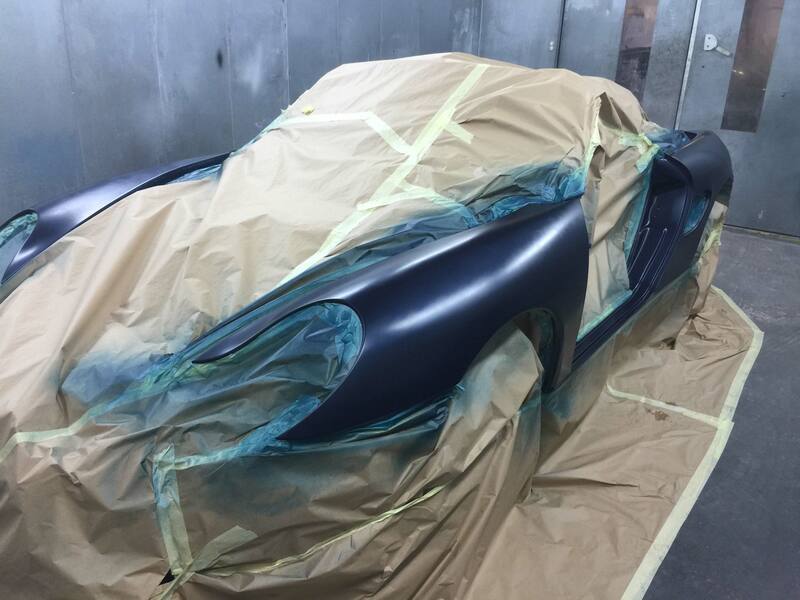 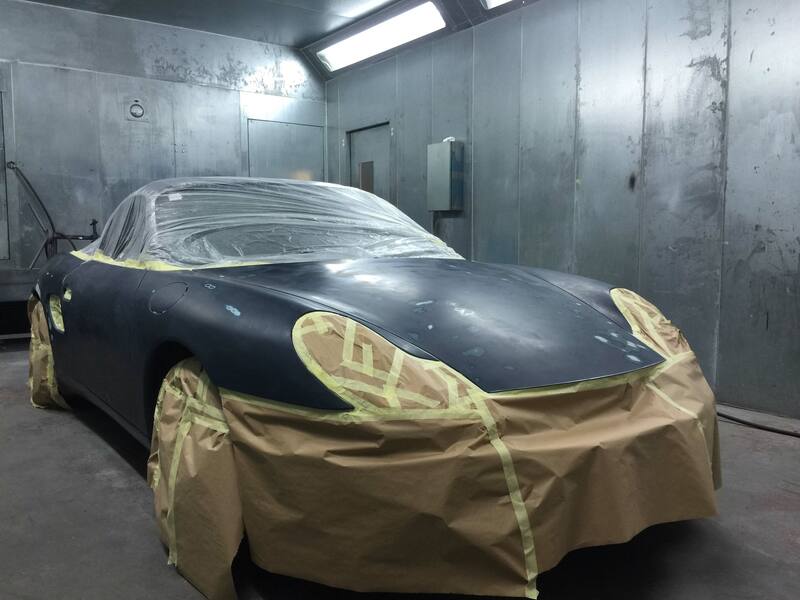 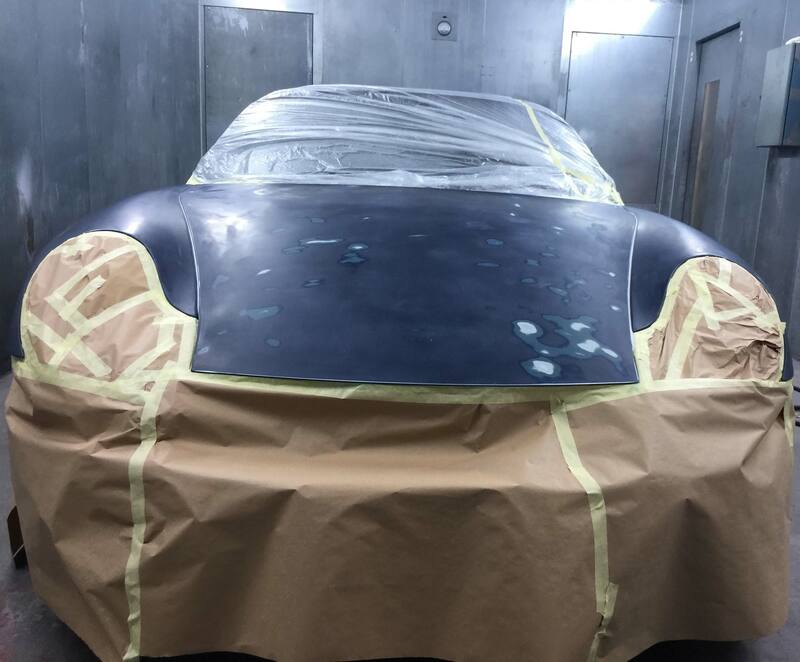 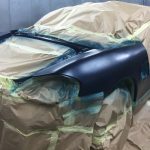 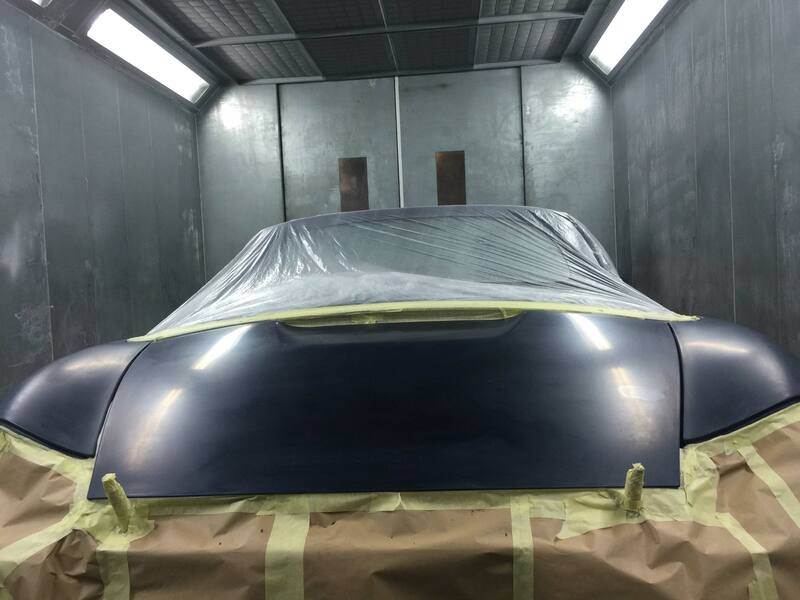 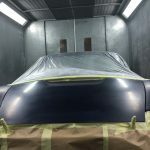 We went to the level of sanding back the old paint, fixing all the dents / scratches and then priming the entire vehicle to seal off the panels and have it all one base colour before applying our base coat. 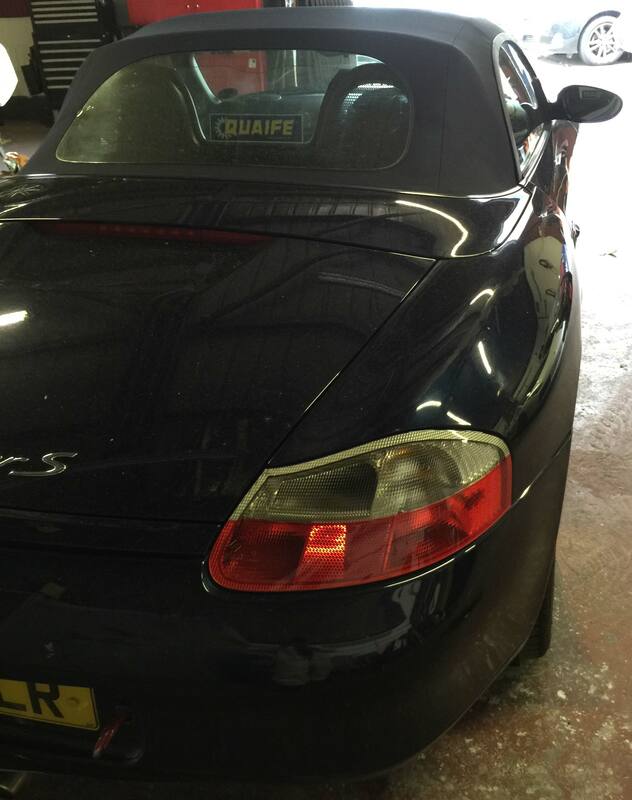 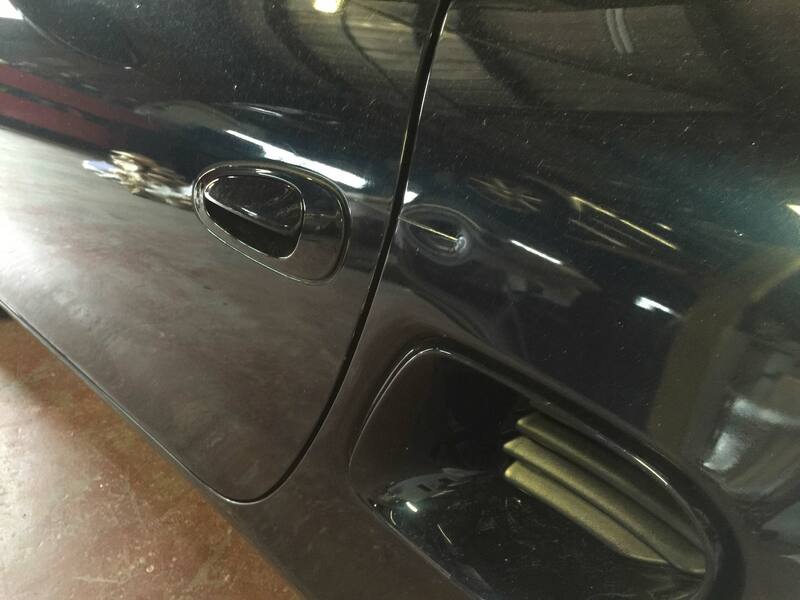 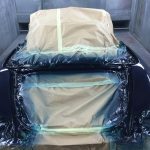 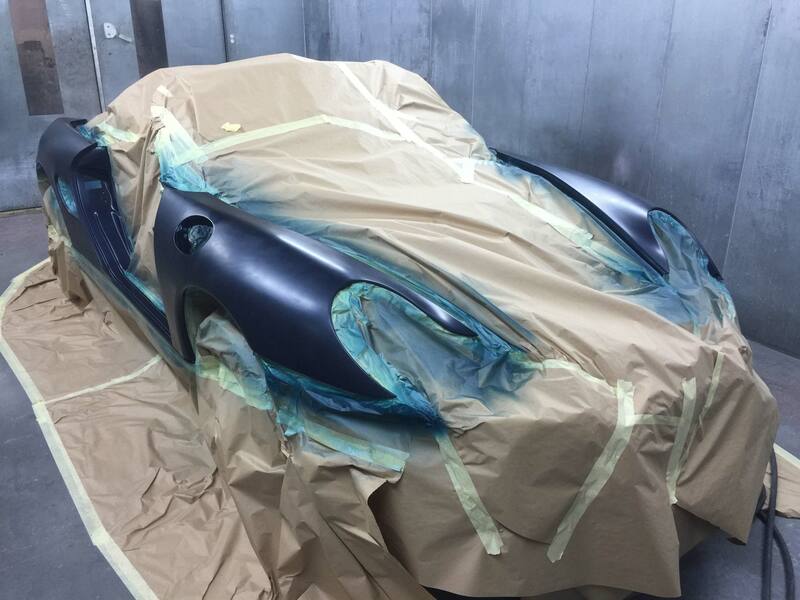 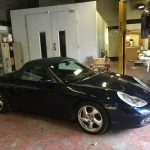 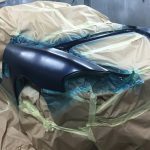 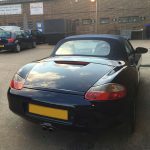 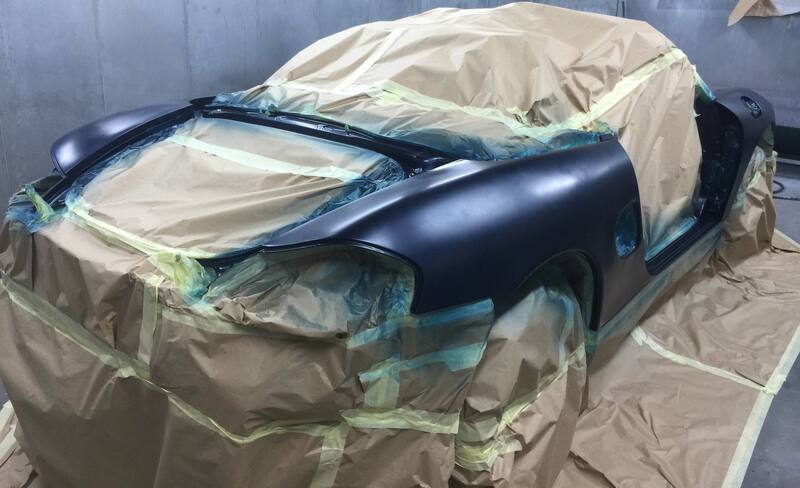 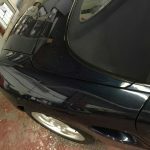 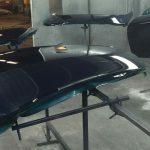 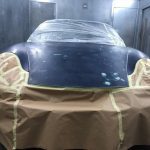 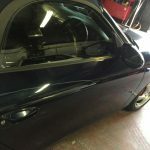 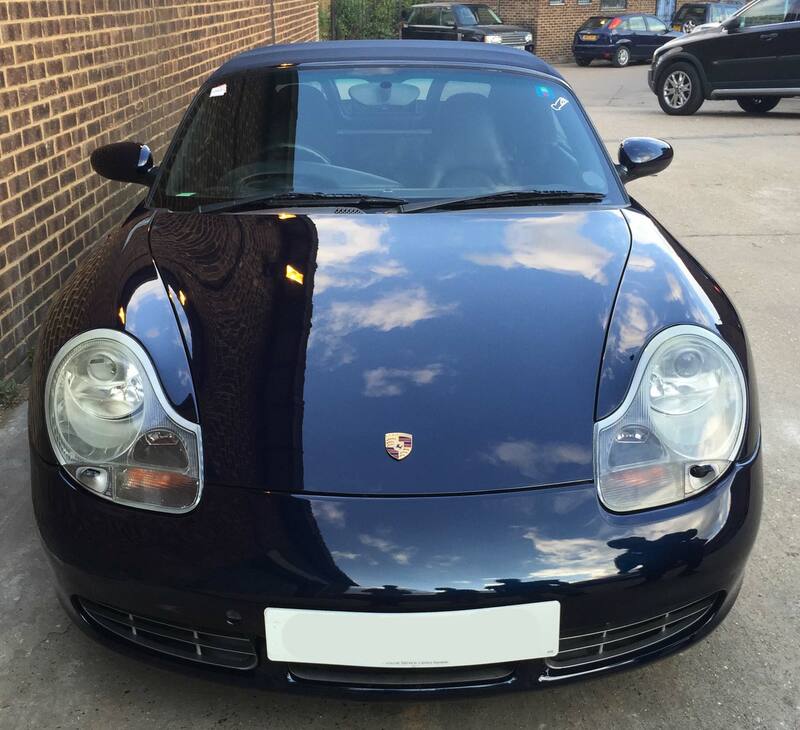 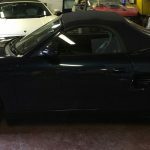 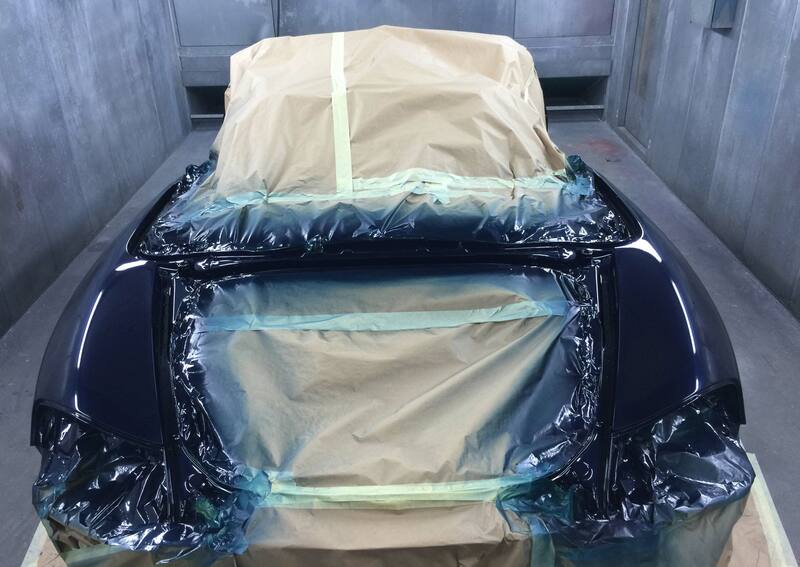 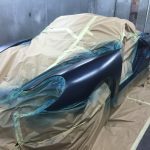 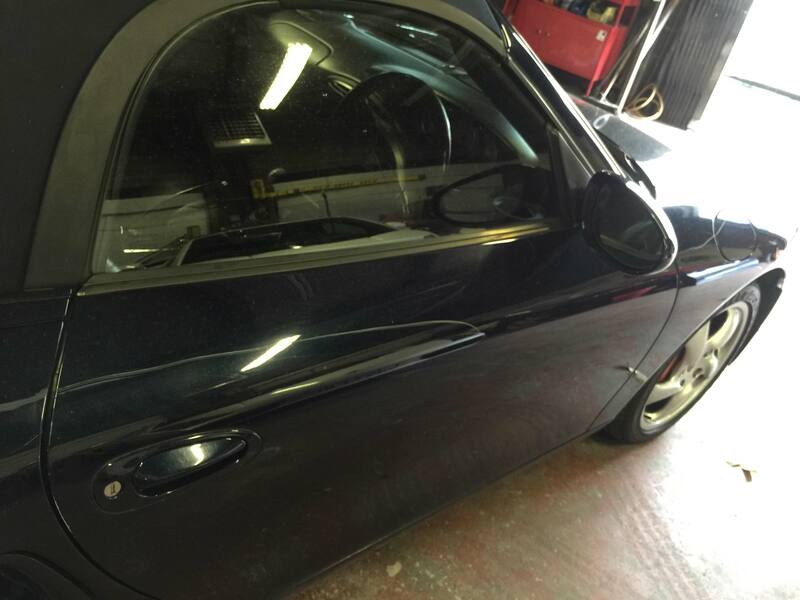 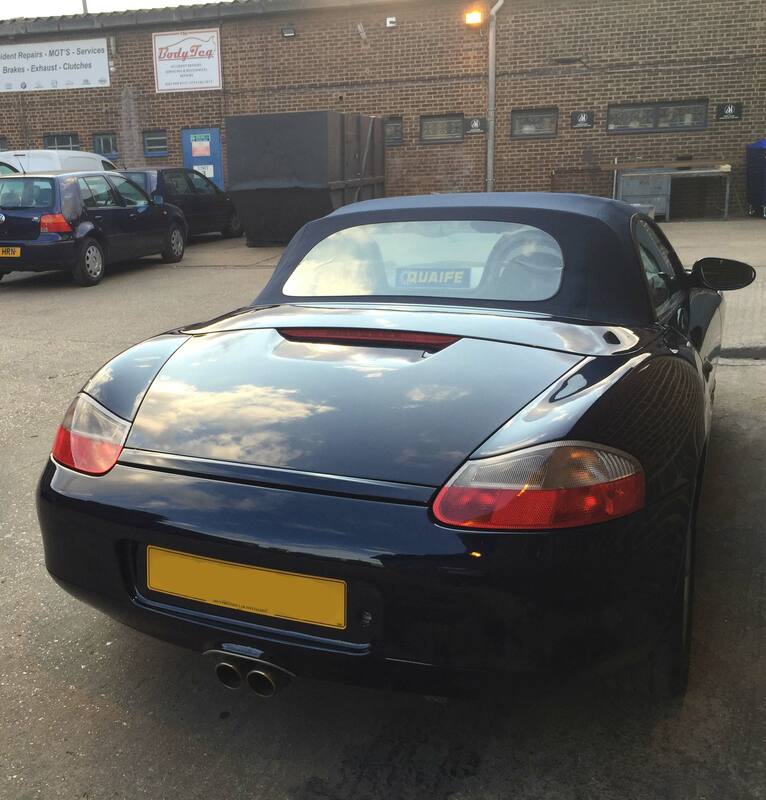 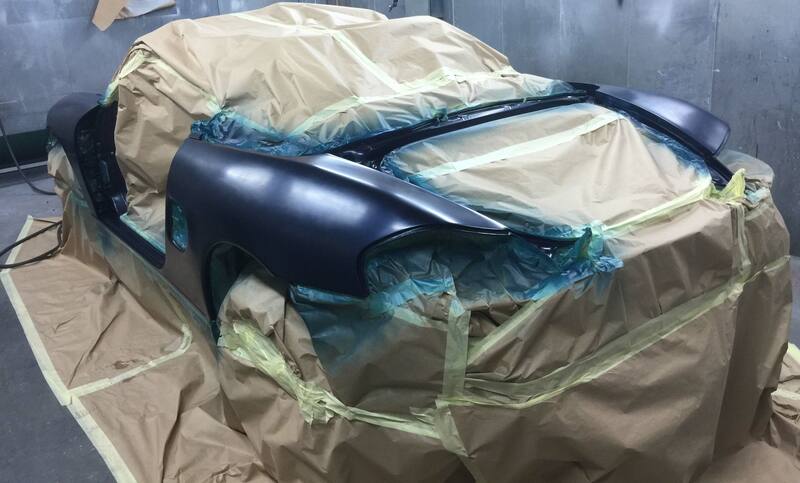 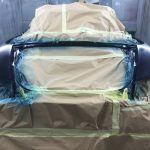 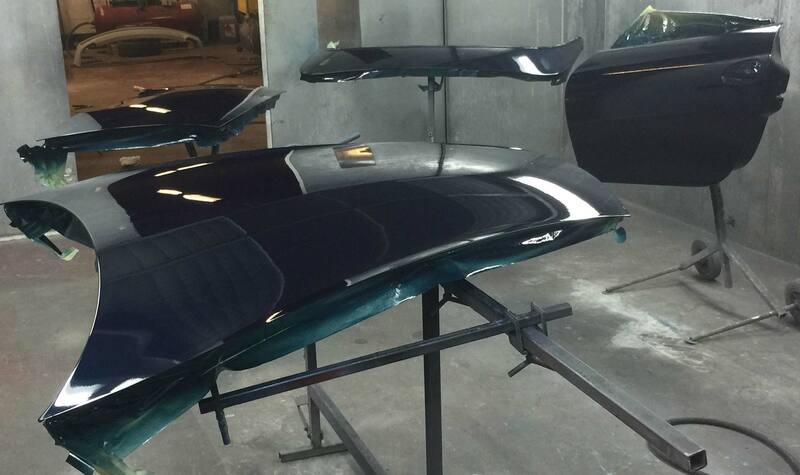 We even removed each panel and painted them individually to ensure maximum coverage and restore the vehicles paint work to it’s original pristine condition but we did not stop there! 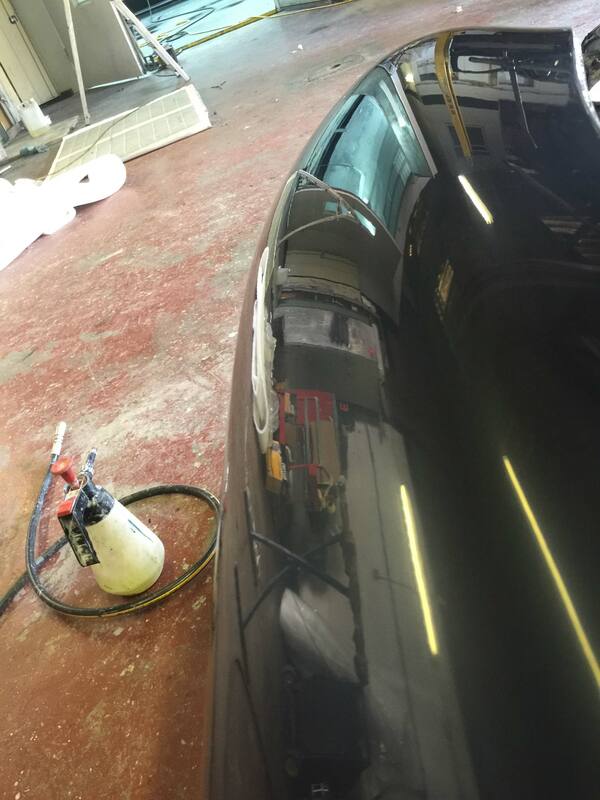 The customer asked for a blinding job, so we delivered..! 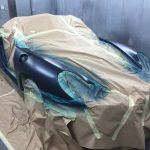 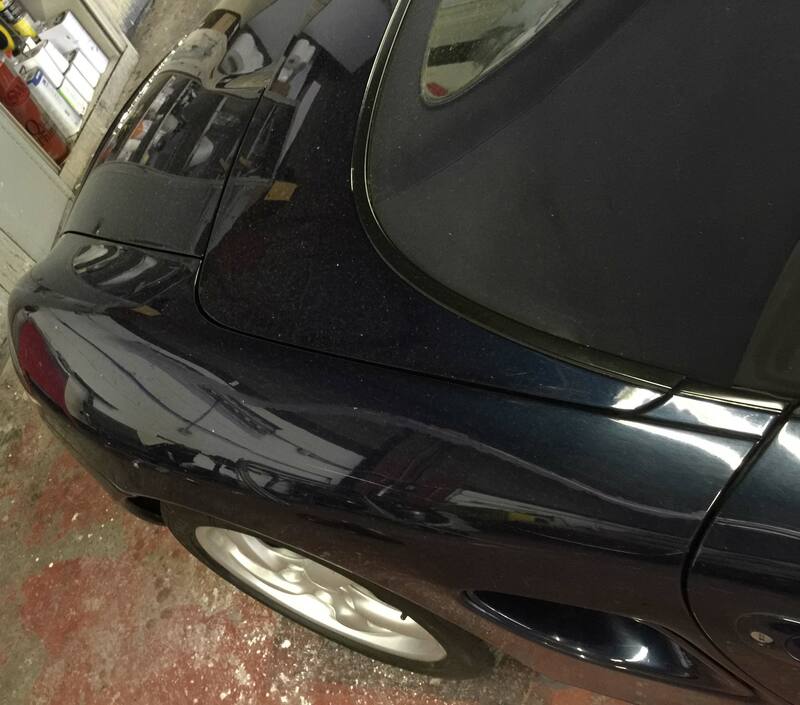 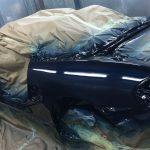 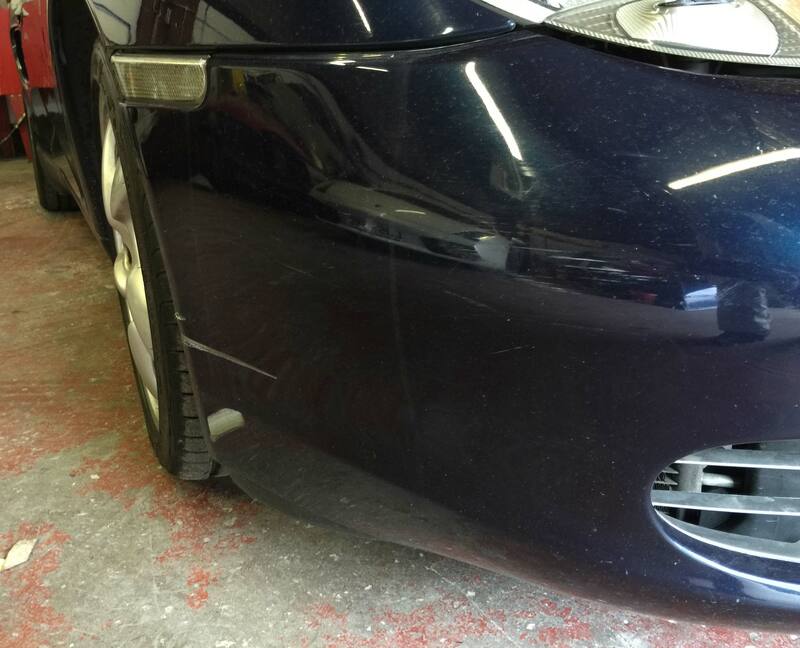 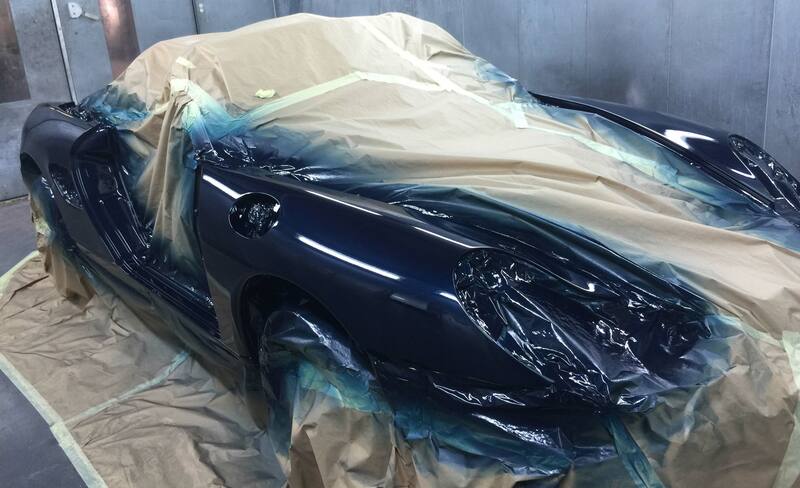 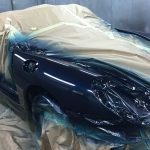 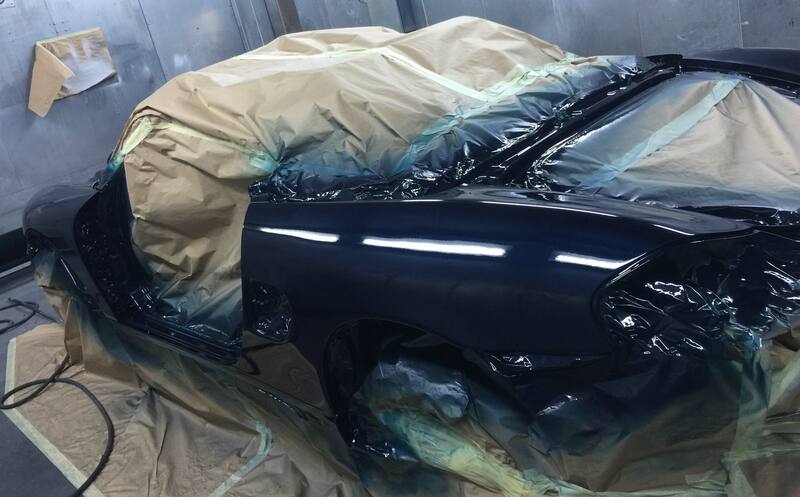 After the respray we performed a thorough 6-stage Buffing, Polishing + Finishing procedure to give the new paintwork the ultimate POP! 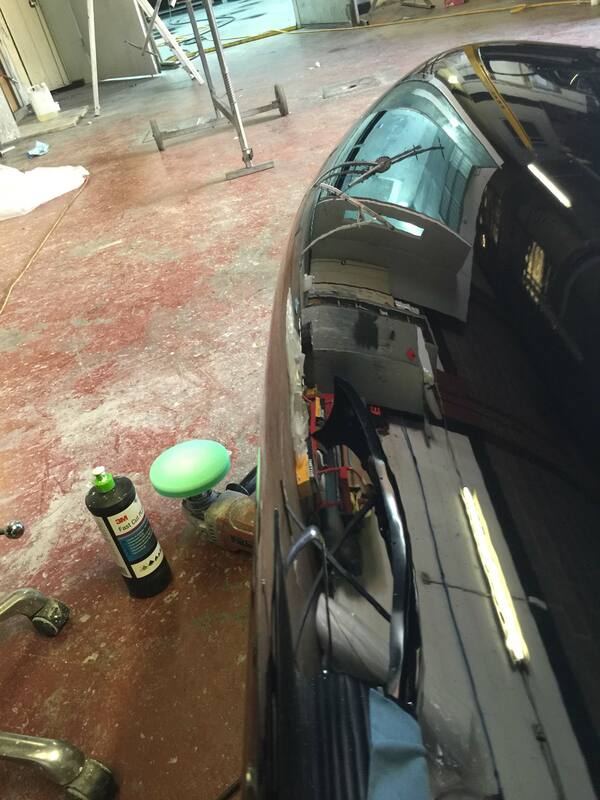 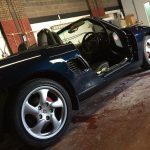 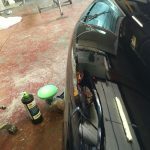 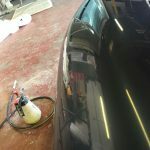 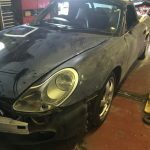 – Checkout the images below to see the transformation which took place at Bodyteq, London’s leading accident repair & service centre.